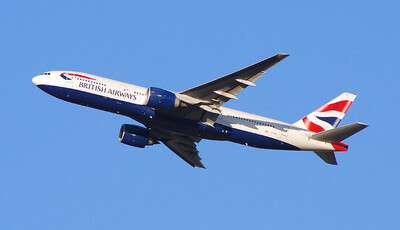 I've flown with British Airways before, but generally have opted for other airlines due to cost. However, we recently flew back to the UK for a wedding and having a 14 month old and a preschooler in tow, meant I was looking not only from a cost perspective but also from the perspective of what would work best for my family. This is when I chanced upon the 'Sky Seat' from British Airways which is a godsend to any parent travelling with a toddler who is too big for a bassinet, but who you don't want on your lap for 21 hours. At 14 months, my son had absolutely outgrown the bassinet, and whilst it might be possible to shoehorn him into the bassinet, I don't think he or the other passengers on board would enjoy the screaming and crying that this might involve. Our options for our long haul journey were therefore to buy our son a seat of his own, or to have him on our laps for the journey. Due to the timing of the family wedding we were flying back for, we were flying at a peak price time (yay us! ), so after looking into the cost of a seat for our son, and recovering from the shock of this cost, we quickly ruled this out. Thankfully British Airways gave us an alternative solution to 21 hours of numb laps, and that was the sanity saving Sky Chair. Whilst the adult fares with BA were a smidgen pricier than other airlines, we justified the purchase on the basis of only having to pay for 3 seats, with our youngest going on as a hand held infant (with a minimal fee charged). In place of a bassinet (that you could request if you have a smaller child), the Sky Seat is positioned in the same place as a bassinet would be, but is an upright reclinable chair designed for babies who no longer fit comfortably in the bassinet (laid down) position. This fantastic seat can recline to a variety of positions, and includes a secure harness so that when your baby is sleeping in the seat you can also nap too knowing that your baby is safe and sound. Similar to the bassinet seat, you are not able to use this seat during take off, landing or during turbulence, but at all other times, it is a blessing on a long haul flight where your toddler can nap, play and also eat their food. Your lap will thank you for it, and quite frankly your sanity (and fellow passengers) will too. As far as I can tell these are currently only being offered by British Airways who are the first airline to offer a specifically designed seat for infants/babies. These seats were designed by Britax and could be used from birth but specifically are for children from 6 months to 2 years. The maximum allowed weight of the child in these seats is 13kgs/29lbs. This seat is available on long haul flights with BA but you'll need to request the bassinet seats to be able to use it. These actual seat is not pre-bookable and are provided on a first come first served basis so as soon as you are in your seat, ask the flight attendent about the seat so that you can stand a good chance of getting the seat. Having flown a few times with a toddler on my lap with my first child, this is the best seat I've seen for a child around this age group. On our longest travel leg, our youngest slept for 11 hours out of 13 which exceeded our wildest dreams. This seat gets a 10/10 for me and a recommendation for anyone travelling with a toddler on a plane. 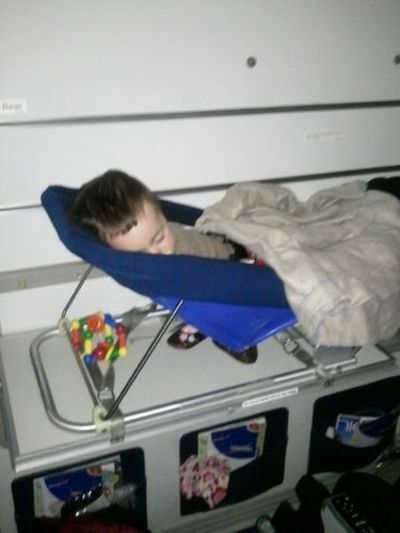 Have you flown with BA with children? Did you have a good experience? We'd love to hear your tips. I flew on my own with my son when he was 10months old from UK to Australia and back. BA were fantastic in all respects. I was really impressed with the service we recieved - they really understood the pressures of travelling with kids!